Analytics is the data driven decision making approach for a business problem. The business analytics industry is expected to be $71.1 billion by 2022 growing at a CAGR of 7%. In India alone, demand for business analytics professionals grew by 400%; in contrast the supply grew by just 19%. Data Science in India is the place to be to participate in the booming industry of analytics and data science. IMS Proschool was recently ranked 4th best institute for Analytics. 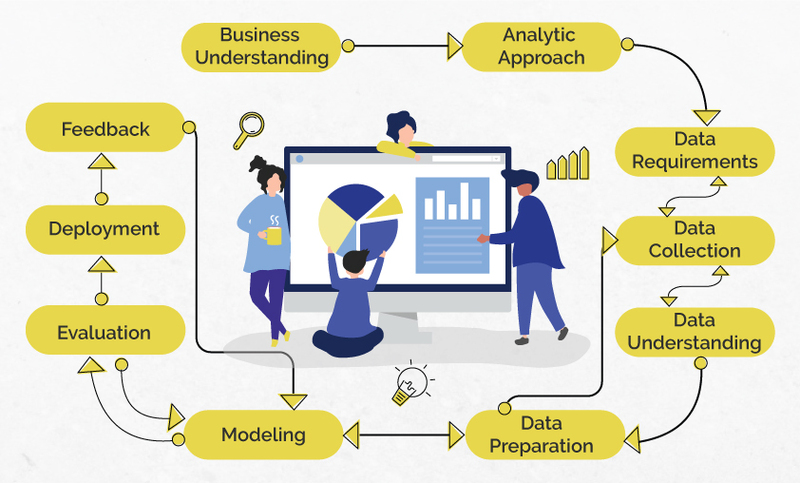 Business Analytics is a combination of Data Analytics, Business Intelligence and Computer Programming.It is the science of analysing data to find out patterns that will be helpful in developing strategies. Its usage can be found in almost every industry. 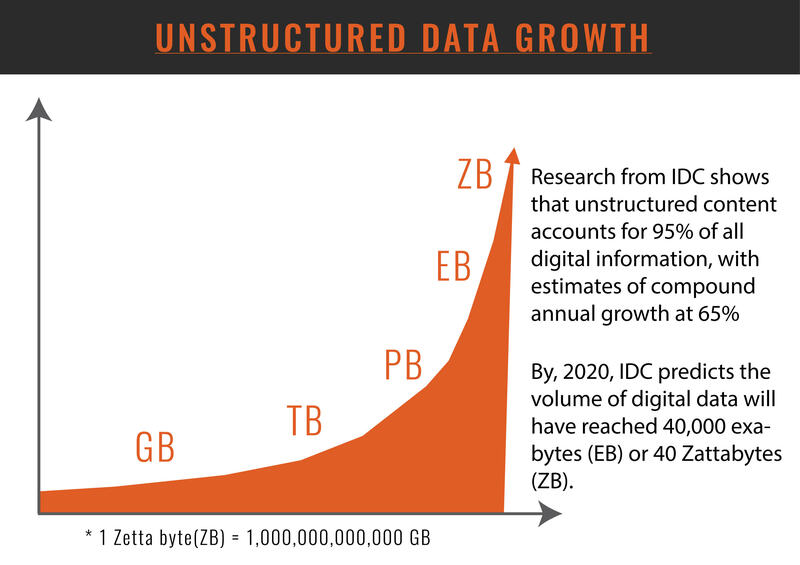 Interactive Data Corporation (IDC) estimates that Data creation will reach 163 zettabytes by 2025. Big Corporations, Governments, Entrepreneurs and almost everyone else is using Data Science to generate insights by unearthing patterns and by decoding this data. These insights are helping to improve efficiency and to offer innovative solutions to business problems. Analytics is also leveraged widely to plan election campaigns and win elections. This is the first thing you do before you start your analysis. Even before you begin your analysis, you should understand the purpose of your analysis. Here you try to understand what the business is and what the business is trying to achieve. You formulate the business problem. Here you reformulate the business problem with respect to analytics. You develop a proposed set of factors and its relationship to output. Also, you define a metric of success of your model. Here you identify and select your data for analysis and its source. You work to clean the data and make it analysis ready. You also find relationships between data and report them. Once your data is worked on, you decide which method to use for your analysis. This is decided based on your data and the type of analysis you have to perform. You make multiple models and compare them based on the metrics you decided on. You validate your model to check if your model is giving accurate predictions. Once validated and reported, you deploy your model on company’s system which then will perform analysis on every new incoming data. When a model is deployed, it has to be constantly monitored for accuracy. Descriptive analysis or statistics performs the function of “Describing” or summarizing raw data to make it easily understandable and interpretable by humans. Predictive Analytics: This branch of Business Analytics, uses forecasting techniques and statistical models to find out what is going to happen in future. Predictive analysis helps us in predicting the future course of events and taking necessary measures for the same. Prescriptive Analytics: This branch of Analytics, makes use of optimization and simulation algorithms to find answer to the question, “What should we do?”. Prescriptive Analysis is used to give advices on possible outcomes. This is a relatively new field of analytics that allows users to recommend several different possible solutions to the problem and to guide them about the best possible course of action. 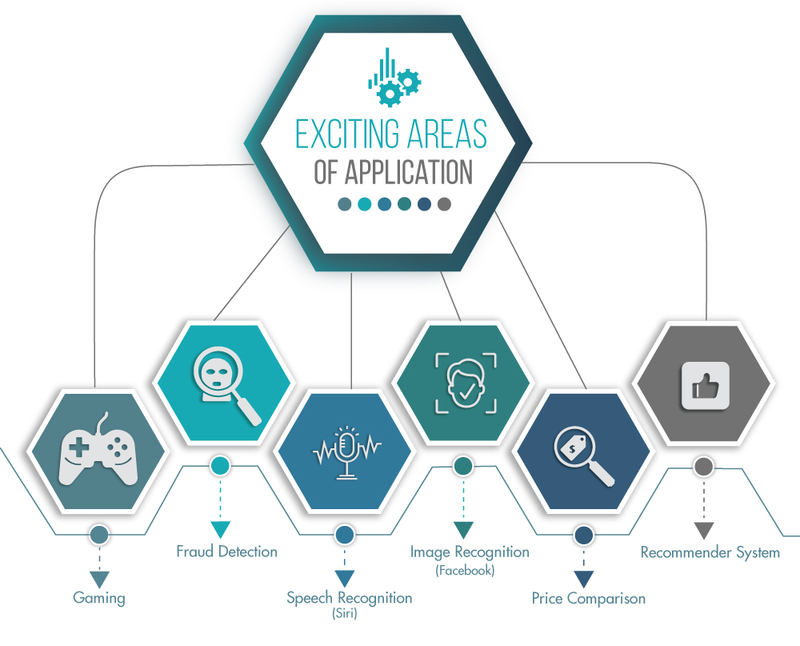 Accessible Artificial Intelligence –There is a widespread adoption of Intelligence into all business systems and decision-making applications. The Rise of Predictive Analytics – These solutions produce better decisions, more accurate business predictions and measurable analysis. Open Source Solutions – (Smart Apps) This trend includes the use of digital assistants and virtual services. Rapidly Growing IoT Networks – The Internet of Things like smarter versions of regular gadgets and equipment to make our lives easy. HOW TO CHOOSE THE BEST BUSINESS ANALYTICS CERTIFICATION IN INDIA? WHAT IS ANALYTICS CONSULTING AND HOW TO GET THERE? 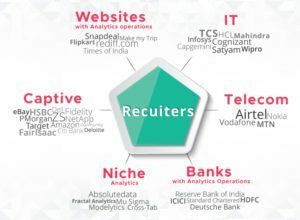 Companies recruiting Business Analytics Professionals? The average salary in India for the year 2017 is INR 12.7 Lakhs across all experience level and skill sets. Mumbai is the highest paying city at almost 13.3 Lakhs per annum, followed by Bengaluru at 12.5 Lakhs. 78% of analytics professionals receive salary in 0-6 Lakhs salary bracket. This is an indication that more entry level (fresher) professionals entered the analytics workforce this year. Telecom industry is the highest salary payer to its analytics professionals at 18.6 Lakhs. Python saw the largest year-on-year jump in salaries with an increase of around 32%. R professionals saw an increase of 30% in their salaries. Advanced analytics/ predictive modelling professionals are paid the highest salaries compared to their analytics peers i.e. 14.5 Lakhs on median. IMS Proschool offers Business Analytics Course with Certification from NSE Academy. 12 weeks training program on Business Analytics only on weekends. Entire training program taught by expert faculty with real world expertise.